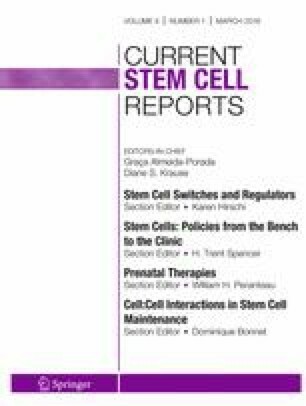 The purpose of this review is to summarize the current status of in utero gene therapy and postnatal in vivo genome editing with an eye toward prenatal genome editing. The rational for gene therapy and genome editing in utero is described, specifically the small size of the fetus, fetal immunologic immaturity, prenatal accessibility of stem and progenitor cells, and the ability to treat target diseases prior to birth. We review studies in normal and disease small and large animal models which demonstrate the feasibility and safety of in utero gene therapy using a variety of viral vectors. Postnatal in vivo genome editing with CRISPR-Cas9 in a number of murine disease models is discussed including the preference for nonhomologous end-joining compared to homology-directed repair in non-proliferating adult cells as a potential benefit to application of CRISPR-Cas9 genome editing to the fetus. Finally, the ethical challenges of human in utero gene therapy are discussed in the context of the EVERREST trial that is currently being designed. In utero gene therapy and genome editing is a developing field with great potential to treat congenital monogenic diseases. More research in small and large animal models is required before clinical translation can occur. Heather A. Hartman, Avery C. Rossidis, and William H. Peranteau declare that they have no conflict of interest. Modares M, Shariati L, Hejazi Z, Shahbazi M, Tabatabaiefar MA, Khanahmad H. Inducing indel mutation in the SOX6 gene by zinc finger nuclease for gamma reactivation: an approach towards gene therapy of Beta thalassemia. J Cell Biochem. 2017; https://doi.org/10.1002/jcb.26412. Kemaladewi DU, Maino E, Hyatt E, et al. Correction of a splicing defect in a mouse model of congenital muscular dystrophy type 1A using a homology-directed-repair-independent mechanism. Nat Med. 2017; https://doi.org/10.1038/nm4367.